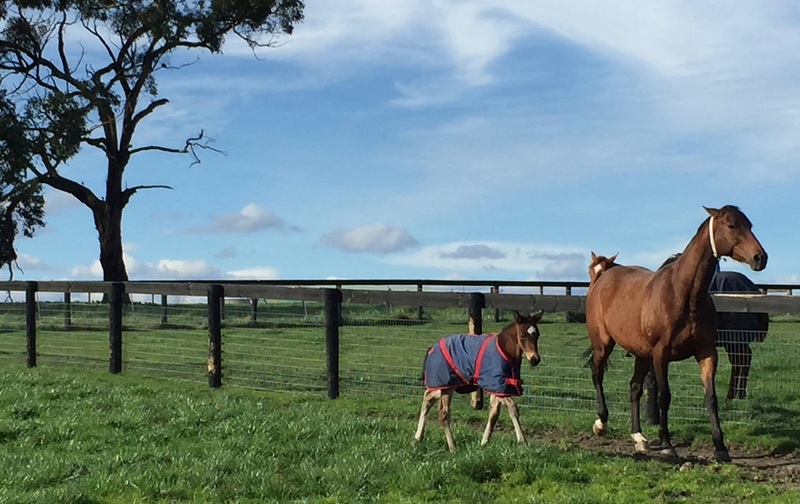 Balius Farm Thoroughbreds is a family owned property, specialising in thoroughbred agistment. We are located less than 90 minutes east of Melbourne, an easy drive on the Monash-Princes Freeway, and not far from the new Pakenham racetrack. Beautifully positioned in the Gippsland region, famous for its rich pastures and consistently high rainfalls, Balius Farm is blessed with easy access to a constant water supply. In a region that is almost drought proof, we have the advantage of year round quality pasture. The quality of our pastures is maintained by regular rotations, and under-grazing, complemented by fertilizing and liming, and regular weed eradication program. During the summer, while other farms are dry and dusty, we retain a healthy cover of green grass, facilitated by a plentiful supply of underground spring-fed dam water. Established in 2014, Balius Farm is 110 acres of undulating hills and flat plains. Comprising of larger broodmare paddocks on the flat plains, and rolling hilly paddocks to encourage the natural growth of bone and muscle in young horses. For spelling racehorses, there are medium sized yards of 2500-3500m2, furnished with large shelter boxes. We also have smaller yards, located centrally next to the residence, for horses convalescing from injuries or surgery. There is also a new stable complex, for broodmares under lights and horses needing to be boxed. For more information about our farm facilities, please visit our Facilities page.